The gunners played against Manchester United last night and the match ended in a disappointing 2-2 draw after the home side showed that it is great at come back. The gunners were the first to go into the lead and a few minutes later, Anthony Martial equalised for the Red Devils. The second half was quite similar in terms of goals because the gunners went into the lead after Lacazette strongly rolled the ball past David Degea in the 68th minute but Lingard equalised for Manchester United after a few seconds. 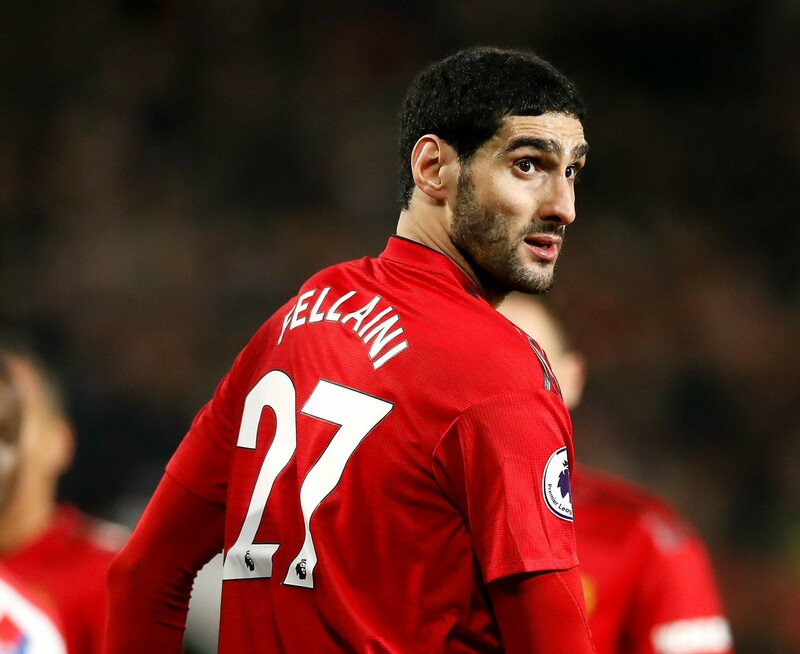 Marouane Fellaini was not on the starting eleven of Manchester United that played against the gunners but he was brought into the game in the second half. The Arsenal fans have however identified the bad thing Marouane Fellaini did during their encounter with Unai Emery’s side. The picture below shows Fellaini pulling the hair of Arsenal’s youngster Matteo Guendouzi and he wasn’t even booked for this such bad action. Some Arsenal fan wrote on Twitter; “Fellaini should be given a three match ban” and while all others condemned his decision because for a player like him who had much hair a few weeks back should know how it is painful when your hair is pulled the same he did to Matteo Guendouzi. Matteo Guendouzi stepped in for Granit Xhaka who missed the match against Manchester United because he was booked and the young Frenchman had an incredible performance against the Red devils even though he did make some mistakes.